I noticed that since Ferrets do not have as obvious a data plate as a jeep for example, that there is a lot of confusion over the vehicle’s serial number. Even the Canadian Forces erred by listing the British Army’s registration number, which Canada did not use, as the “Serial #”! Here is some help for Ferret owners and enthusiasts. This web page focusses on the Canadian Army’s Ferrets but any Ferret owner should find the information to be of some use. Also known as the Vehicle Identification Number “VIN” in North America. 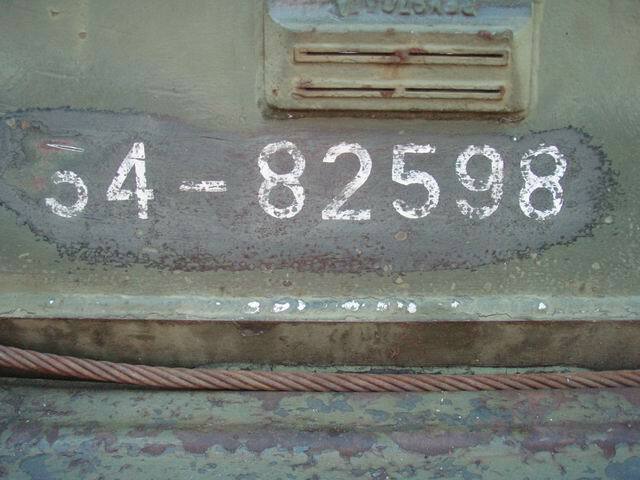 THIS is the serial number, not the painted on military numbers! 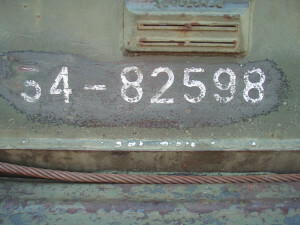 To find this hull number (VIN) and the date of manufacture look inside hull on the starboard (right) side by behind and above the driver’s right shoulder. There was originally an aluminum data plate listing modifications standing off from the hull on 4 bolts. “Undo the 4 nuts on that plate and CAREFULLY ease it off the studs. 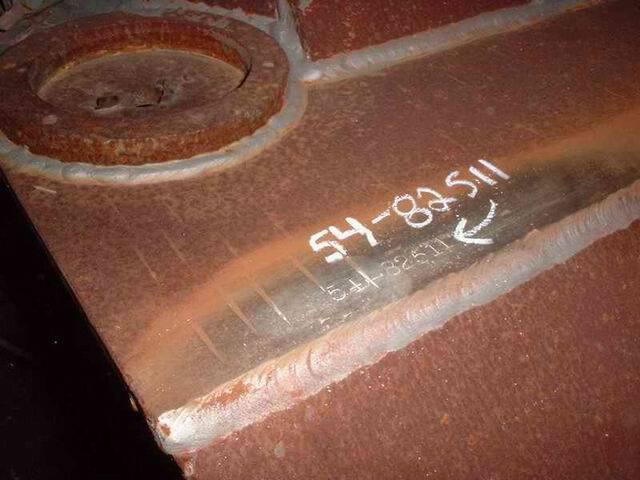 Underneath will be the little steel plate welded to the hull with the hull number stamped on it.” (Ref: Doug Greville on Ferret Heaven 2007-03-17) This little steel serial number plate is 2″ x 3″. 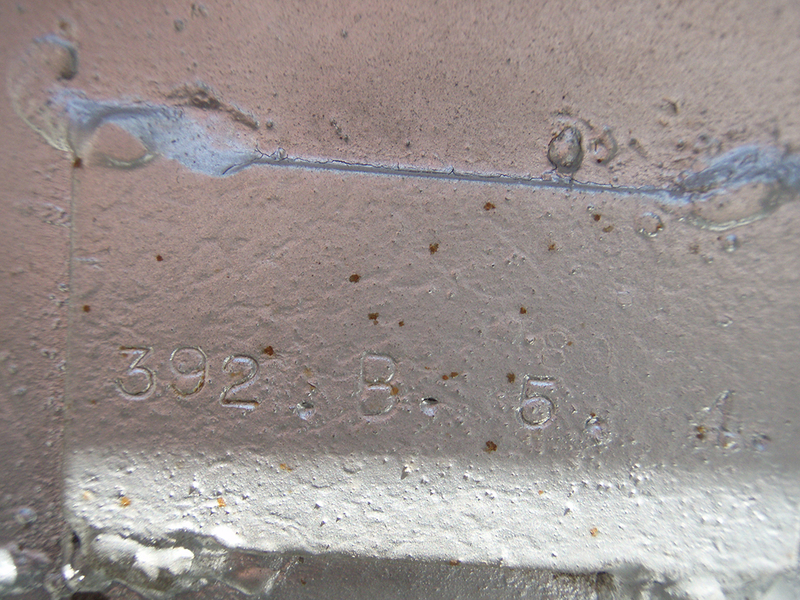 Stamped onto the spot welded plate is the hull number (VIN) e.g. 392.B.5.4 (see below for explanation). Special thanks to Douglas Greville in Australia who helped to decode the mysteries of the British and Australian numbering systems. I also wish to thank other members of Ferret Heaven forum (the 4-wheeled, not 4-legged version) for their help and advice. The factory assigned unique hull number (vehicle VIN or Vehicle Identification Number) was stamped onto a plate which was welded inside the hull on the right (starboard) side behind the driver's right shoulder. 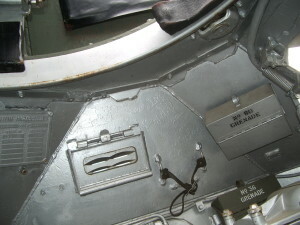 On British Army Ferrets there is usually also a modifications data plate in this location. If this is unbolted, a data plate should be visible. Hull number data plate location is shown by the arrow in the upper left corner. This is a view of the starboard (right) interior of the fighting compartment and the driver's seat is out of sight to the left. When Ferret production extended into the 1960s, the last two digits of the year were marked so as to prevent confusion. 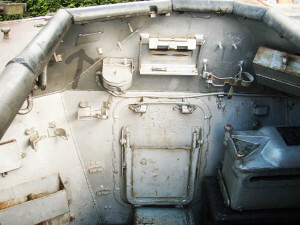 The thick aluminum data plate where modifications were recorded is shown on far left of this photo of a British Ferret Mk. 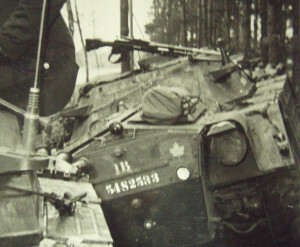 II in the British Columbia Regiment's collection. These data plates were bolted in place with four bolts, standing off from the hull and over top of the hull number data plate. 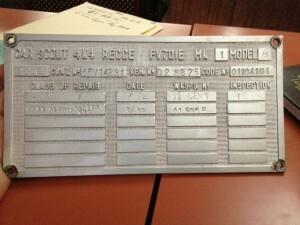 These aluminum data plates are missing on most (If not all) Canadian Ferrets as they made attractive souvenirs. 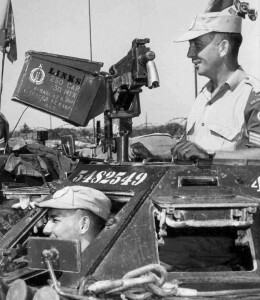 Canada has used a variety of military numbering systems over the years but for the time of the Ferret acquisition in 1954, it was the Canadian Army Registration Number (CAR). This consisted of the last two digits of the year the vehicle was acquired (usually the same year it was built), followed by a dash, and then 5 digits. Initially vehicle were allocated blocks of numbers e.g. all of the Canadian Ferrets were 54-82xxx. This system was later renamed when the Canadian Army, Royal Canadian Navy and Royal Canadian Air Force were unified in the late 1960s. A vehicle CAR number was then, and still is, called the Canadian Forces Registration (CFR) number. These numbers were usually painted on the sides of each vehicle. In Canada this was done with white paint. Please note that it is NOT a “hood number” as many collectors call the military registration numbers on jeeps. 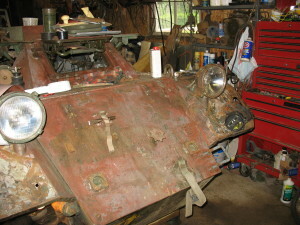 Even on jeeps the number was not always applied to the hood (engine cover or bonnet). See my page on military vehicle markings. On British vehicles their number was painted on the front and rear of the vehicle and on their Ferrets, it was also stamped onto the data plate for modifications. Note: Although some people use this as the vehicle serial number it is technically NOT that. United Kingdom 04 CC 01 Usually painted on top front edge.2 numbers, space, 2 letters, space, 2 numbers.This system was introduced about 1949 and replaced the old style e.g. 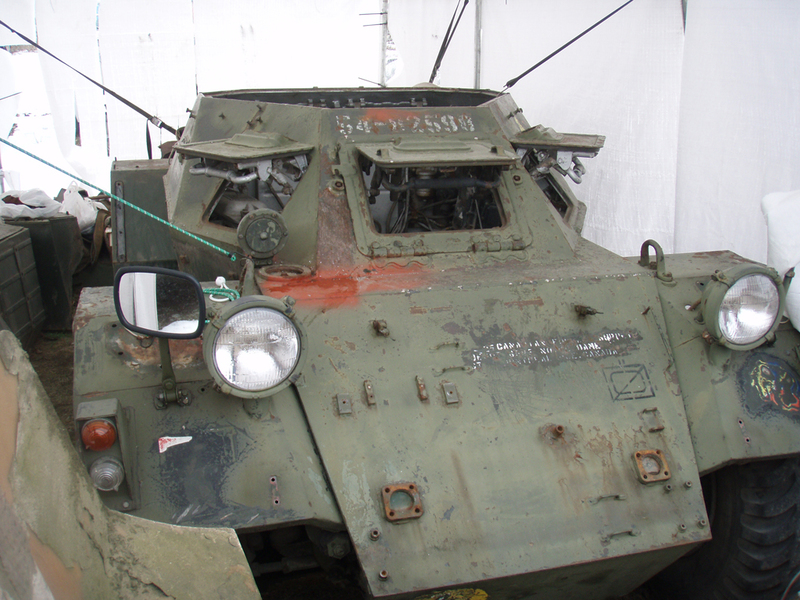 Z5453378 or T123456Note: This is NOT the vehicles serial number for licensing as a civilian owned vehicle (even though many people have used it as such).You can find the British Army history of your Ferretfrom the tank museum in the UK. You MUST supply the WD number e.g. 04 CC 01 Here is the info: Stuart Wheeler, Bovington Librarian Email: Librarian@tankmuseum.co.uk They charge a standard fee of GBP 10 (plus GBP 3 post and packaging) to reproduce vehicle registration cards: The Tank Museum Bovington Dorset BH20 6JG UK NOTE: The fees may well have changed over the years so check first. Canada Canadian Army Registration (CAR) which changed to Canadian Forces Registration (CFR) 54-82598 Changed about 1969 after unification of the armed forces. Canada bought 124 Ferrets and the CFR number range was 82500 through 82623. The first two digits signify the year the particular vehicle entered military service. Originally painted in white on the sides of the hull. When UN white, sometimes painted in black on side near rear wheels. Also when a Canadian Forces licence plate was visible - this had the last 5 digits of the CFR number (from about 1970 when these plates were introduced until they were sold surplus 1980-1. Bob McWilliam of Nova Scotia sent the following pictures of the CAR as he found it on his Ferret 54-82540. The photo of the CAR stamped on 54-82511 is from Rob Love in Manitoba.